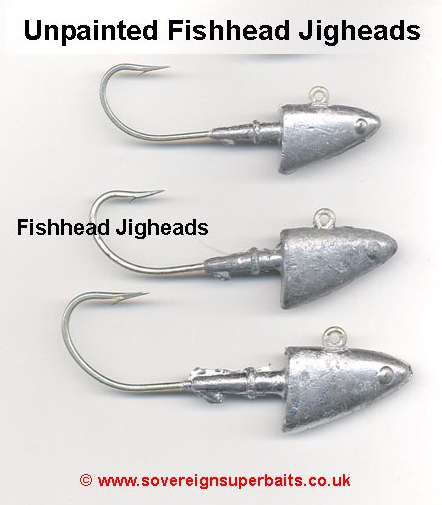 : These are our own inexpensive unpainted fishhead jigheads, available in 3 sizes and 3 weights for those of you who wish to paint your own heads. 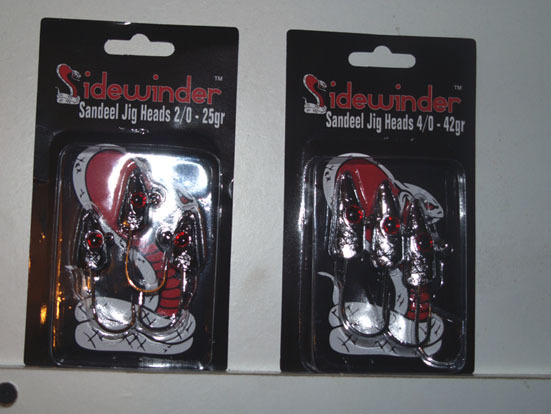 These are made under the well known "Sidewinder" brand & benefit from the sort of quality you would expect from them. Packed in three's, we have two sizes available, the 25g,2/0 & the 42g, 4/0. They have a Chrome silver finish & are fitted with "satanic" red eyes for greater attraction.